Fortnite is booming and its only growing more with the new Fortnite Mobile app. 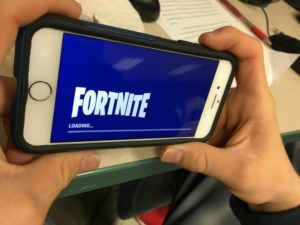 Lafayette High School students take a break from class to enjoy their favorite game, Fortnite. “Fortnite” has brought us something we haven’t seen since old “Call of Duty’s”. It’s bringing back the ultimate form of teamwork and strategy. Adding to the hype of “Fortnite”, it is free to play. It is often compared to the breakthrough of “PokémonGo”, a game that brought in millions of gamers and had them running all over town for “Pokémon”. “Fortnite” is run by the company Epic Games and they offer the game on multiple devices such as PC/Mac, PlayStation, and Xbox. 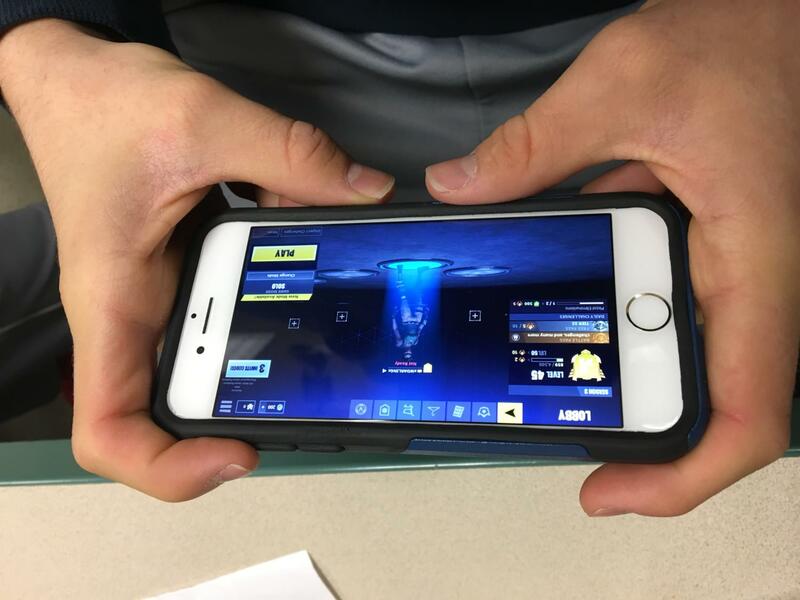 Junior Will Darling waits eagerly for his Fortnite mobile game to load. “Fortnite” has developed an app for mobile devices and it provides the ability for cross-play to keep the progression from your PC, Xbox, or PlayStation. There is nothing different within the game, other than the controls because it’s on a smaller device that doesn’t provide a controller. 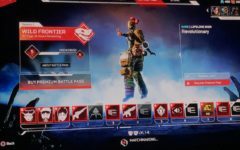 It has the same map, gameplay, weekly updates, and content. Signing up through the “Fortnite” official website will add you to an email waitlist; they will then send you an email so you can access the app through your phone. When you receive the email you can then send an invite to three other people so they can then play on a mobile device with you. You cannot play Fortnite mobile if you have an IPhone 5, 6, or a 6s. “Fortnite” is booming and it seems everyone is playing the great game, and with the new mobile app it will only grow more than it already has.